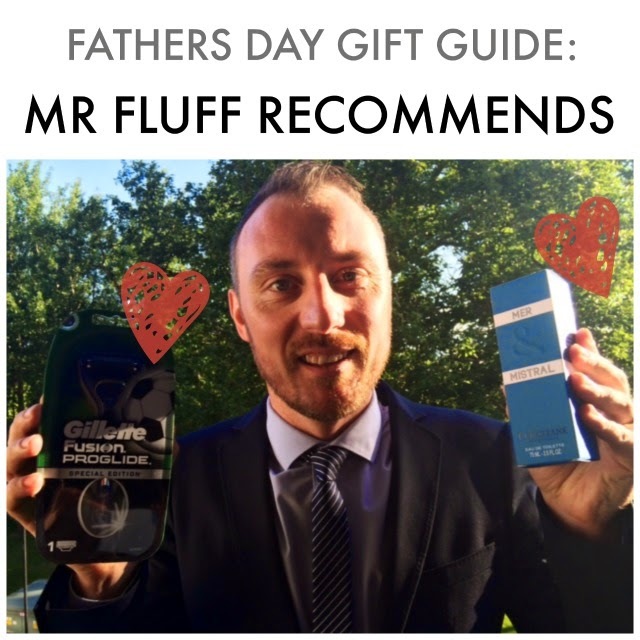 Father’s Day for me is an odd one since every year, I send Papa Fluff a present and every year, he has no idea why and gets confused as to whether it’s Christmas or his birthday. So this year, for his own sake, I’m not going to bother - but here are some of my recommendations for those of you with parents who are more sane. Since I joined the bearded masses I thought I’d have no use for a razor, but this didn’t turn out to be the case. 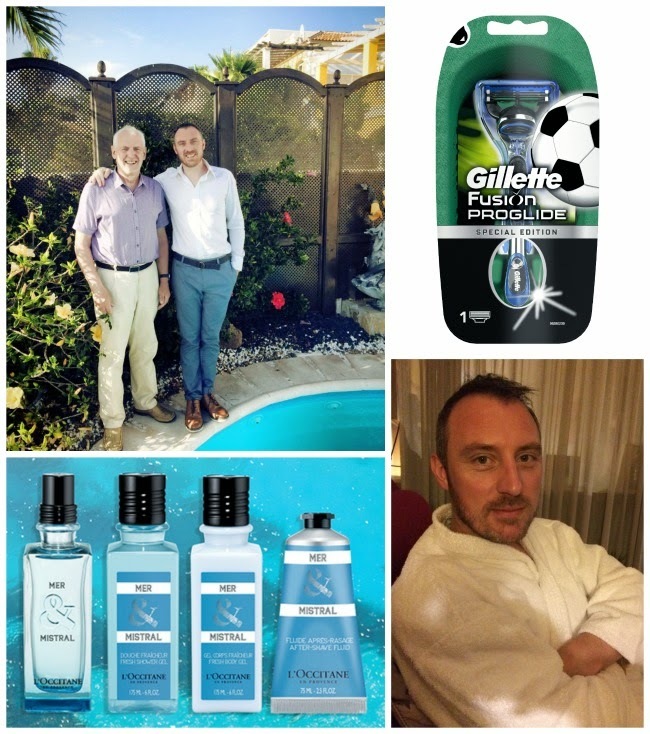 While the bulk of my hairy face can of course be kept under some sort of control using a trimmer, my neck still needs the attention of a proper blade – and for this purpose I turned to the limited edition Gillette Fusion Proglide Football Razor, €12.95, and shaving gel. Top left: Mr Fluff with Mr Fluff Senior! Then of course, regardless of how great your razor is, you need an aftershave lotion of some description. For this purpose I’m loving the new Mer and Mistral After Shave Fluid, €27 from L’Occitane which, as well as being an ultra-light moisturiser, has an aquatic, citrusy fragrance which is just right for spring/summer. Great as a gift on its own or you could really splash out (geddit?!) on the full collection which comes in a limited edition gift box. But if the Old Man is too lazy to complete his ablutions himself another option is a good old fashioned hot towel shave. I’ve had a few of these in my time – and bought a couple for my Dad - and besides giving you an amazingly close shave, I find them so relaxing. Especially if, like with The Grafton Barbers, you’re given a brandy to drink while the barber does his thing. But if the grumpy git just refuses outright to remove any facial hair since, like my father, he considers himself past caring what anyone thinks - then maybe he just needs to chill the hell out in a spa. Like I recently discovered, massages can be most pleasant. And then there’s always the option of a different kind of hair removal with the full back, sack and crack wax!